Nearly one in five U.S. fuel stations are charging less than $2 per gallon of gasoline as falling oil prices deliver holiday savings for American motorists. “We’ve seen dramatic drops toward the end of the year,” says Jeanette Casselano, spokeswoman for AAA. 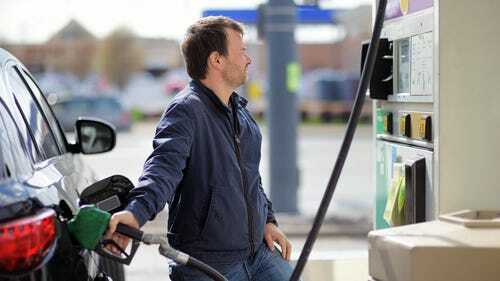 As many as eight states could have an average price of less than $2 by the end of the week, said Patrick DeHaan, senior petroleum analyst for fuel-finding app GasBuddy. Missouri’s already there. Others within cents of the two-buck threshold: Texas, Oklahoma, Arkansas, Mississippi, Alabama, Louisiana and South Carolina. As of late Monday morning, 31 states had at least one station with fuel for less than $2, according to GasBuddy. One station in Texas was charging $1.65 as of Monday morning — the lowest in the country. Nationally, the average was $2.37 on Monday — 5 cents cheaper than a week ago, 26 cents cheaper than a month ago and 6 cents cheaper than a year ago. Lowest gas prices: Less-than-$2 fuel is back for holiday travel season.